My old radio pal, Bill Lewis, is in town. So far, we haven’t been able to match up schedules, but I’m hoping to catch him before he leaves next week and returns to the east coast. Bill has done a lot and lived quite a life over the years and our paths overlapped only a couple of years, but they were memorable ones. 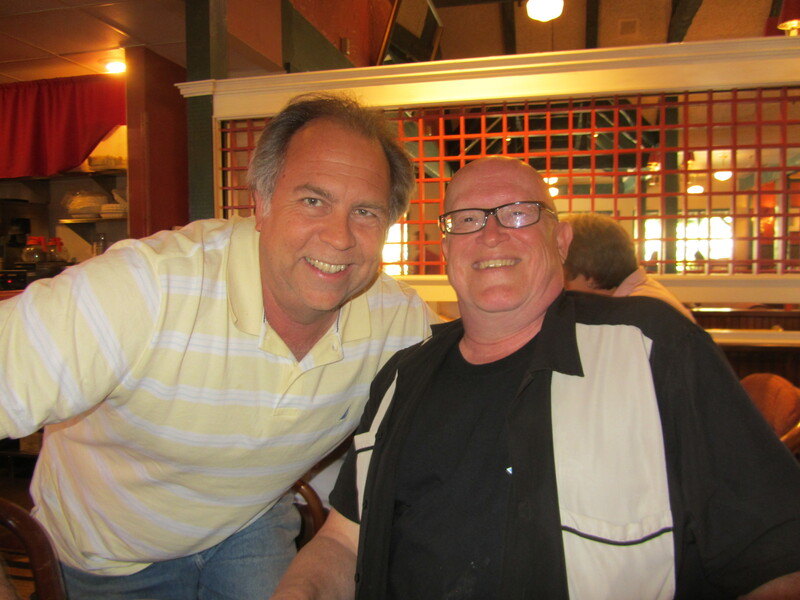 Interestingly, another radio buddy and co-worker Scott Burns cut his radio teeth with Bill somewhere over the Cascades, years and years ago. When Scott starts to describe those crazy days they had together, I’m realizing how good it probably was that I wasn’t around. My time with Bill was in the days he was news director at 92.5 KLSY radio when I started there back in 1984. He was the news director of this soft rock station and our time in the same building together would only be a couple of years, but boy did we make those count. Mr. Lewis anchored the morning news with Dave Sloan. That was back in the day when a music station needed a news team. Bill had a great presence on the air for such a little guy. With his glasses and beard, he looked like a professor and could deliver the news with great writing style and passion. But get him away from the responsibility of the microphone and he could unleash a phenomenal wit. I’ve always admired people who could appear responsible, authoritarian and in control…all the while hiding their goofy and fun side. Being as our time dates back to the mid 1980s, I have to rely on videos to help support my memories. In those days of the encyclopedia-sized VHS video camera, I quickly became involved in the annual holiday videos the staff put together, a tradition I maintain today at my current job. There’s just something about getting the staff to play on camera and then editing it together for the Christmas party. One of the memories I have of Bill burned into my brain comes from a couple of bits we did in those videos. I put on the Bahgwan Shree Ragneesh outfit and Bill dressed up as Mother Theresa. The bit had the unlikely duo planning a benefit concert and complaining about the radio station promotion, “The KLSY Incredible Prize Catalog.” Here’s a still from that interview with my eventual morning show partner, Bruce Murdock. So many years ago. 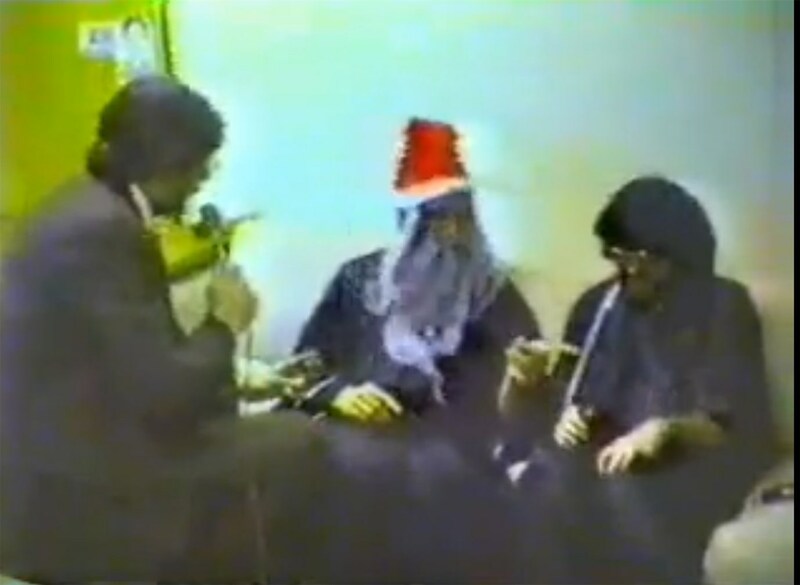 By the way, if you want to sort through the old KLSY Holiday Video home movies, I’ve posted a collection that includes this bit, here. You’re going to see mighty young versions of some people you may remember. Looking forward to seeing you again, Bill. We’ve both wedged in a lot of life since those KLSY Days. But you’ll always be like a Mother Theresa to me. P.S. Managed to connect with Bill before he skipped town this time. We’re both going to try and do a better job of staying in touch! Great to see you again, Mr. News Director.